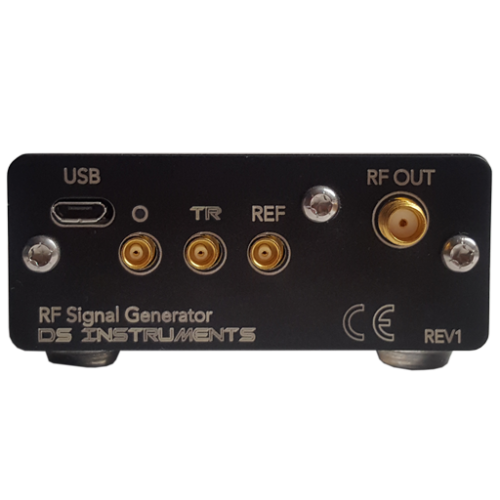 The NEW DS Instruments SG6000PRO RF Signal Generator continues to set the industry standard in affordable ultra-compact RF Signal Generation. 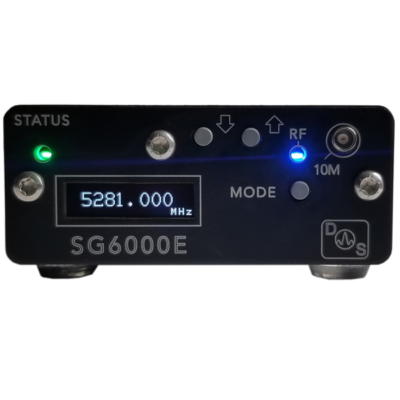 The SG6000PRO provides a pure low-harmonic signal unlike most other compact signal generators. 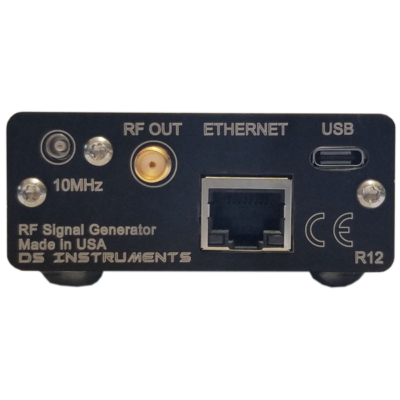 This fully synthesized, modern fractional-N synthesis device covers up to 6.8GHz. Output power is auto-leveled to +10dBm and can be adjusted downward in 0.25dB steps up to 60dB, or continuously via the internal variable attenuator. The bright OLED display provides useful feedback for the user, and front control buttons provide a quick alternative to USB control. 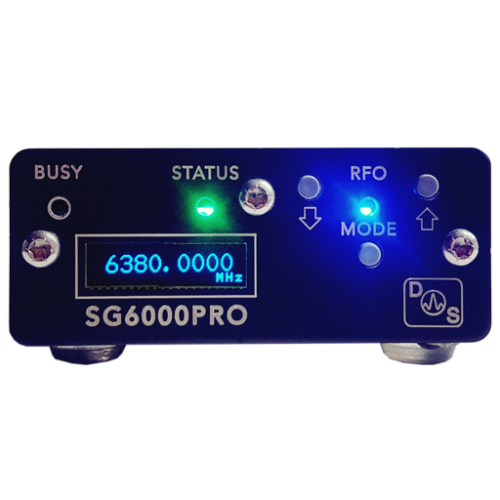 The PRO has phase noise approximately 20dB lower than the standard SG6000, a much smaller minimum frequency step size, a more accurate output level attenuator, and a wider frequency range.